Cuts and scrapes are common, and they are also an easy way to get a nasty infection. Cleaning a wound before you put a bandage on it helps remove any unwanted bacteria that might cause an infection, while creating the best conditions for successful healing. Hydrogen peroxide is a popular way to clean wounds. It’s been used as an antiseptic since the 1920’s for this purpose. 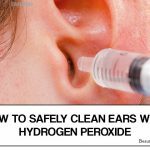 Cleaning a wound using hydrogen peroxide is simple enough. First, you’ll want to make sure your hands are clean — wash them with soapy water before you touch the wound, or use medical gloves. Start by irrigating the wound using large amounts of cool water and a sprayer if needed to get rid of any debris. You can use tweezers to remove large debris from the wound. But, make sure they have been disinfected with alcohol before you touch the wound with them. Under no circumstances should you push the tweezers into the wound itself. After cleaning the wound out, you can apply hydrogen peroxide and kill off any remaining bacteria left in the cut. The hydrogen peroxide will bubble and fizz as it breaks open the membranes of harmful bacteria cells. An enzyme inside bacteria known as catalase reacts with hydrogen peroxide to release oxygen, creating the bubbles. 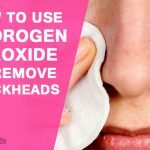 You should avoid using too much hydrogen peroxide. Hydrogen peroxide also reacts with healthy skin cells, which means that using too much can increase scarring. It may also be helpful to put an antibiotic ointment or cream on the wound before closing it up. In the event the wound doesn’t heal or the pain keeps increasing, there may be an infection. You may also have an infection if you see drainage from the wound, increasing swelling, or you notice a feeling of warmth. In the event of an infection or a potential infection you should get medical treatment immediately! While hydrogen peroxide has been used for many years for wound cleaning, recent studies have made its continued use controversial. An increasing number of studies suggest that hydrogen peroxide can harm the skin as much as it helps remove bacteria. The basic issue is that while hydrogen peroxide does kill bacteria, it does not discriminate between healthy and bacterial cells. Many researchers believe that hydrogen peroxide’s effect even slows down healing, because it interferes with the normal process of repairing damage to the skin and thereby increasing scarring. There have even been cases where — for unclear reasons — hydrogen peroxide applied to wounds produced fatal or near fatal embolisms. How? Somehow the bubbling of the hydrogen peroxide didn’t go into the atmosphere but into the blood stream, and air bubbles in the blood stream have terrible effects. Many experts believe that instead of hydrogen peroxide, a sterile 0.9 percent saline solution is best for cleaning wounds. If you don’t have that, you can use lukewarm tap water. Then, keep the wound moist and protected by covering it using a non stick type bandage. As long as you keep things clean you shouldn’t experience any problems. You probably won’t even need to use antibiotic cream. However, as noted above, if the wound doesn’t heal within 4 weeks, you should go visit a doctor or a specialist for wound care. The same goes for wounds that are large, deep, very painful, that just don’t stop bleeding, or that have objects in them which you can’t remove. Any wound which needs stitches should get seen by a doctor within 6-8 hours of the injury — otherwise the risk of infection goes up significantly! 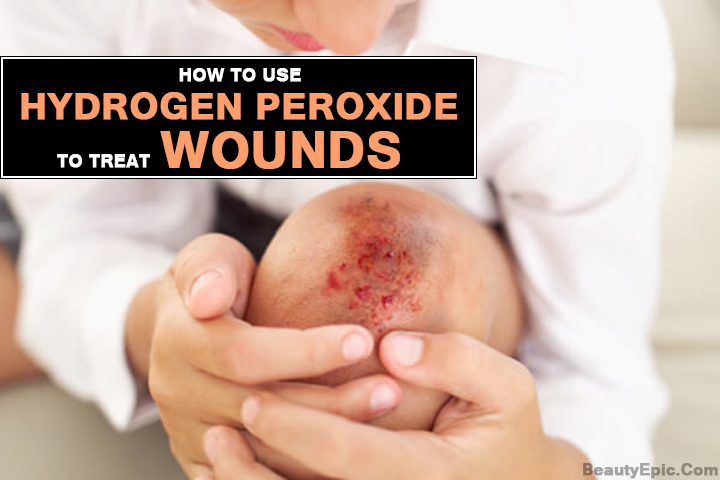 There are many other ways you can use hydrogen peroxide to help — not just on wounds. For example, some people have found that foot fungus is healed by spraying feet with a 50/50 mixture of 3% hydrogen peroxide and water. You can use a capful of 3% hydrogen peroxide as mouthwash or for treating toothaches when you cannot get to the dentist. For example holding a capful of 3% hydrogen peroxide will often lessen the pain of a toothache until a dentist can make a filling. And, when using hydrogen peroxide as mouthwash it often whitens teeth significantly. While you can use hydrogen peroxide for wounds, you don’t really need to. Ordinary tap water and a band-aid will do just as well for most wounds, and if the wound is reasonably clean you may even be able to skip the water. As the saying goes, never wash a wound unless you’re sure you’ll wash more debris and bacteria out than you will wash in.